There was progress, and I think it’s really good for the Greek economy that there was agreement on the policy package because this can put Greece on a stronger growth path. And that was appreciated by all ministers. It also means we do have a shared conditionality among all the four institutions, which took a while to get there, but we reached that point. Obviously, we will continue to work on the debt measures on the basis of the May 2016 statement. At the ESM, we are ready to make disbursements as soon as we have reached full agreement. There is some time left to work on this, but not very much, because you all know that some debt service payments are coming up in July. Although we didn’t have the full agreement on debt relief measures tonight, let me remind you that we are not starting from scratch here. In 2012, Greece already received unparalleled debt relief from both private and official creditors. Private creditors accepted the largest nominal haircut in history, and the official side provided maturity extension, interest deferral, and reduction in fees and margins. And that added up to another NPV (net present value) reduction of around 40%. 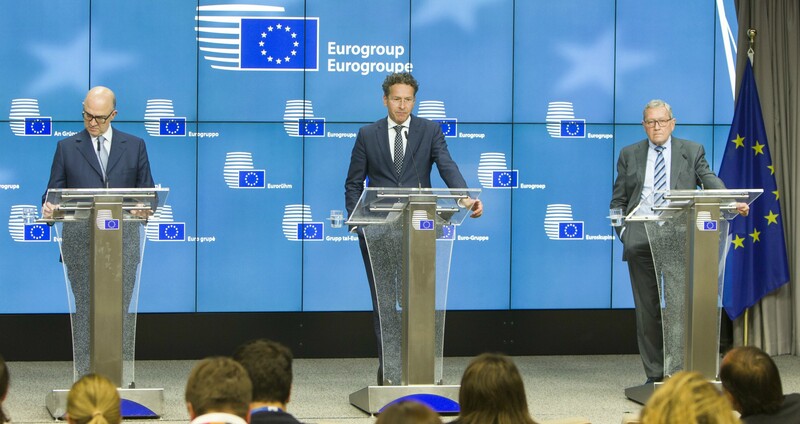 So we are working with this behind us already, and there is a good basis on top of that, as you know, since early this year at the ESM we are implementing the short-term debt measures that were already agreed by the Eurogroup in May last year. We did our normal Early Warning System together with the Commission going to Spain. We share the conclusions; we always have to make sure that the repayments due to the ESM will be forthcoming. We have no doubts about that – that’s good. What might also be interesting is that Spain will continue to make voluntary early prepayments to the ESM. They already did four prepayments during the last two years. And Spain intends – and we have agreed with them – that they will prepay another €3 billion this year: €1 billion in June and €2 billion more in November. And that will actually reduce the original amount – we disbursed initially €41 billion to Spain. [These prepayments] will bring it down to €32 billion. And I think this is a good sign how far Spain has come. They are able to prepay without any problem. It’s also good for the ESM because this money, coming back earlier than anticipated, will increase our lending capacity.